One of the most important aspects of any manufacturing operation is energy consumption. Efficient processes produced through mobile warehouse management and timekeeping software not only cut down on the cost of labor and transportation, they also reduce the amount of electricity being used. Along with saving money on the energy bill, they can mitigate energy wasted, which can bring down greenhouse gases and help prevent damage to the environment. Reducing waste on the shop floor can also help as well. There are two ways of addressing energy’s impact on a manufacturer. One is through establishing sustainable businesses practices in the factory, something enterprise resource planning can assist in. The other is seeking out alternative methods of power consumption. ERP is bound to one critical aspect of manufacturing operations: the use of resources. As operations continue to scale forever upward in certain respects, the need to address waste in operations becomes more important. Sustainability can help address this problem by implementing measures of product and operational efficiency, lifecycle management, resource efficiency and recyclability of materials at end of life. Green Biz noted that many businesses are taking on these concepts through altering certain aspects of operations. For example, Boeing is working with NASA to create a blended-wing aircraft that can go further and is more effective in terms of fuel economy than current heavy-lift airliners. What is key here is the use of lighter materials in critical components. By lowering the weight of the parts, an aircraft can perform better and use less fuel at the same time. Another factor being considered is improving the recyclability of products reaching the end of their useful lives. One example is through take-back and recycling programs developed by electronics manufacturers, either to safely dispose of and reuse material or rebuild products through refurbishment. 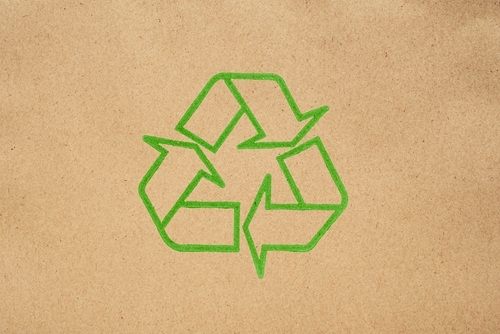 Another is improving the recycling rates of key products such as paper and aircraft components. Going back to energy consumption, sustainability often requires the minimization of energy use throughout all operations. That can be affected by energy sources. Many manufacturers rely on power utilities to supply and deliver electricity to them. The method of electricity transmission loses energy the longer the distance it travels. As a result, energy from fossil fuels such as oil and natural gas are wasted. In order to combat this, manufacturers could invest in onsite power generation in areas where there are significant energy resources. Forbes notes the appearance of combined heat and power units that operate hydraulic fracturing or fracking wells. These extract natural gas from shale formations underground and convert it into both heat and electricity, all next to the factory that will use the resources. The use of this process has increased the power efficiency of manufacturers from 51 to 75 percent, according to Forbes. In turn, factories that use CHP units mitigate more than 1.8 quadrillion BTUs of fuel consumption every year. In simple terms, that’s the equivalent of 40 standard coal plants. Cutting down on extraneous processes through ERP systems can increase energy efficiency even more. Timekeeping software can enforce these efficiencies by monitoring the amount of work done, as more time spent on an order consumes more energy. Learn more about the benefits of automated time collection by downloading the free white paper entitled “Justifying the Switch to Automated Time Collection” from DMS today.